Register online for Bryan County Schools ‘Passport to Adventure’ Summer Camp! Eight weeks of action-packed fun including daily field trips and specialty camps! ‘Passport to Adventure’ Camp and Pre-K Camp begins May 28 – June 28. Forty-six specialty camps, including Gymnastics, Cheerleading, Track & Field, Karate, Arts Fest and many more begin May 28 – July 26. Summer Camp book and registration now available online at bryancountyschools.org/o/comed​, then click on Summer Camp. $25 registration fee is due at time of registration. Congratulations to MES After School Instructor Sandra Gaston! Just named McAllister staff member of the year! Well deserved and quite incredible! Thank you Sandra! Registration is NOW OPEN for Bryan County School's Before & After School Program for next school year. Register early. Before School locations are RHPS, RHES and CES. After School locations are Community Education Campus for RH district students, McAllister Elementary for MES students and Lanier Primary for north Bryan students. Register online at bryancountyschools.org/o/comed or call 459-5116 for more info. Reminder to Before/After School Parents: Remember to pick-up any prescribed or non-prescribed medications stored for students at the McAllister or Richmond Hill Before or After School locations before the end of day Wednesday May 23. Medications not picked up by parents will be discarded. Thank you and have great summer. Community Education’s popular Driver’s Education for Teens class begins June 2. Class meets for 3 Saturdays on Community Ed campus and includes 6 hours actual driving time. Course graduates will receive certified certificate of completion upon graduation. Cost is $385. Register online at bryancountyschools.org/o/comed/page/classes-registration or call 459-5116 for more information. Class participants must be 15 years old and have learner’s permit. We salute our Before/After School professionals during After School Professionals Week - April 23-27. Thank you! Bryan County Schools Before and After School Program - Everyone a Learner. Everyday. Community Education's Summer Camp begins May 29! Great field trips, specialty camps and loads of fun May 29 - July 27 . Stay tuned for registration information and details coming soon. ​Microsoft Excel made easy! Learn Excel the right way in this class beginning February 6 at the Community Education Center. Participants will learn how to be proficient when using Microsoft Excel. This is a four-week class taught by Lynn McCoy. Register online at bryancountyschools.org/o/comed​ or call Trudi Howard at 459-5209 for more information. Science is fun! By popular demand Science for Kids is returning to Community Education. Science for Kids opens up a new world of learning and experiences for students in grades K-5. Class will be held at the Community Education Center on Fridays beginning February 9. Register online at bryancountyschools.org/o/comed or call Janie at 459-5210. Learn effective study skills! Effective study habits are critical to success in the classroom and beyond. Register now for this popular class held Mondays for grades 4-8 at the Community Education Center in Richmond Hill. Classes begin February 12 for the 8-week session. Register online at bryancountyschools.org/o/comed or call Trudi at 459-5209 for more information. Abrakadoodle is a remarkable new art class for middle school students only. Students will work with pencil, charcoal, pastel, watercolor paints and more! Class will be Tuesdays at Community Education Center- 4:30 - 5:30 pm, Jan. 30 - March 13. Register online at ​bryancountyschools.org/o/comed​ or call Trudi at 459-5209 for more information. Register early, class size is limited. Community Education - Explore. Learn. Grow. Pre-K - 3rd grade students are having a great time in Snapology with Superhero Structures, a STEAM themed class at Community Education Center! Classes are Wednesday and Thursday 4:30-5:30pm. We're designing a secret hideout for our Superheros and learning all about building bridges. Call Trudi at 459-5209 or register online at bryancountyschools.org/o/comed. The secret ingredient is fun! Register now for Kids in the Kitchen cooking classes for ages K-8. Session 3 now underway Mondays, Tuesdays and Wednesdays beginning at 4:15 pm. Learning about food has never been this much fun. Register online at bryancountyschools.org/o/comed or call Janie at 459-5210. Bryan County Community Education – Explore. Learn. Grow. They're calm. They're happy. Join the fun in Yoga for Kids. Classes meet Thursdays - 4:30 and 5:30 at Community Education Center. Register online at bryancountyschools.org/o/comed or call Trudi at 459-5209. Community Education - Explore. Learn. Grow. No Community Education classes this week due to Thanksgiving holidays. Classes resume Monday, Nov. 27. Happy Thanksgiving everyone from Community Education. We're thankful for you! Begin learning piano now! Class now forming in Beginner Piano class taught by Jo Hart. Great group class designed for young beginners. Sign up by calling Trudi Howard at 459-5209. Bryan County Community Education. Explore. Learn. Grow. A few spots available in Community Ed's Beginning Piano class. Group setting - small class - Grade 2-5 - lots of fun! Taught by Jo Hart - experienced music teacher.Call Trudi at 459-5209 for more information. Bryan County Schools looks forward to welcoming back our students and staff on Thursday, September 14th. Safe travels to all Bryan County evacuees as they travel home today and tomorrow. Before Care/After School Program and Community Education classes resume Thursday, September 14. Due to Hurricane Irma, Bryan County Schools are closed Sept. 8, 11 & 12. Before Care and After School Program at all locations will be closed Friday, Monday and Tuesday. All Community Education classes cancelled Friday, Monday and Tuesday. All Community Education classes will be held today (Thursday) on normal schedule. Discover Origami! It's the Japanese art of paper folding. Its fun, its creative, its beautiful! Classes forming now for grades K-5. Call Trudi at Community Education at 459-5209. Explore. Learn. Grow. Are you a great piano teacher? Community Education is looking for an additional piano teacher for the Fall class schedule. If interested, call 912-459-5208 for more information. Register for classes online - Pay for classes online, coming very soon to Bryan County's After School Program and Community Education classes. Thank you Bryan County Schools After School professionals for a job well done! After School Professionals Appreciation Week - April 24-28. Summer Camp 2017 registration NOW OPEN! Go to BryanCountySchools.org, click Schools, then Community Education, then Summer Camp 2017 to register OR pickup registration forms at our office at 120 Constitution Way, Richmond Hill. Important reminder: NO COMMUNITY EDUCATION CLASSES THURSDAY OR FRIDAY! Have a great week. Pause and soak in the beauty. Students in Carol Hartley's Art Adventure class are in the creative mood. Join in by calling Joan at Bryan County Community Education. 459-5207. Explore. Learn. Grow. Community Education's Summer Camp begins May 30! Four weeks of summer fun, plus specialty camps -Gymnastics, Karate, Dance, Snapology, and a lot more - all summer long. Registration opens soon - stay tuned! Skills for life. Join Bradd Flemmings Taekwondo class and see how good you can be. A few openings remain. To register Call Trudi at 459-5208. Bryan County Community Education - Explore. Learn. Grow. We're building really cool stuff...join the fun in Snapology class! A few openings remain. To register call Trudi at 459-5209. Bryan County Community Education - Explore. Learn. Grow. See what's cookin' in this kitchen! We're learning how to make healthy snacks...join the fun and register now for the popular Kids in the Kitchen Cooking class. Only a few spots remain. Classes meet Monday and Wednesday 4:15-5:15. Call Community Education and ask for Joan at 459-5207. Explore. Learn. Grow. Just kick it. Soccer begins March 1. Register now for spring soccer coached by John Hungerford. To register call Janie at 459-5207. Bryan County Community Education - Explore. Learn. Grow. Serve it, Smash it, Win it, Love it! Hurry and register now for Coach Linda Sun's Tennis class. To register call Joan at 459-5207. Bryan County Community Education - Explore. Learn. Grow. Let you creative spirit shine in Art Adventures. Only a few spots left in K-1 class... to register call 459-5207 and ask for Joan. Bryan County Community Education - Explore. Learn. Grow. What's your passion? Chess, drama, music, sports...Why not share with curious students eager to learn. Specialty camps now being formed for Community Ed's Summer Camp. If you are interested in teaching a camp call 459-5208. Community Education - Explore. Learn. Grow. Community Education office and After School Program is closed Monday, Jan. 16 in observance of Martin Luther King, Jr. Day. No ASP or Community Ed classes on Monday. Skills for Life. Community Education's Driver's Education course starts February 4. Don't delay, register today. Call Janie at 459-5210. Be prepared. Join Community Education's Babysitting/CPR class! Vacancies available for class starting Feb. 21. Call 459-5209 to register. Tennis Anyone? Join the fun and register now for Community Ed's tennis class taught by Linda Sun. To register call Joan at 459-5207. You should be Dancin'. A few spots remain for Community Education's popular dance class. Register now - Call Joan at 459-5207. Art Adventures is an adventure! 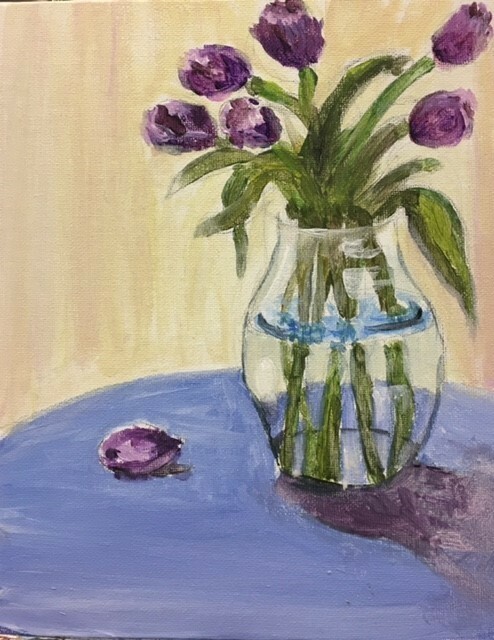 Join instructor Carol Hartley for Art Adventures class. Call Community Education at 459-5207- ask for Joan. Build character and skills in Taekwondo! A few vacancies remain for Winter semester. Call Community Education and ask for Trudi - 459-5209. See why everyone is talking about Gymnastics class! Register NOW for Winter semester. Registration ends January 27. Call Community Education and ask for Janie - 459-5210. Get ready! Sculpture with Clay starts January 9. Sign up now...class taught by local artist Carol Hartley. Four week course - Mondays - 4:15 - 5:45 pm at Community Education Center. Call 912-459-5116 for more information. Master builders at work! Join Snapology and see why building is fun! A few openings available now for grades K-2 and 3 and up. Meets Wednesday OR Thursday at Community Education Center. Call 459-5116 for more information. Attention Middle School Students...register now Babysitting/CPR class beginning February 21. Class meets for 5-weeks on Tuesdays at Community Education Center. For ages 11 - up. For more information call 459-5116. Karate class now available in Pembroke! Develop your martial arts skills under Master Brett Hise. Class meets at Lanier Primary on Wednesday and Friday - 4-5 pm, Call Community Education at 459-5116 for more information.